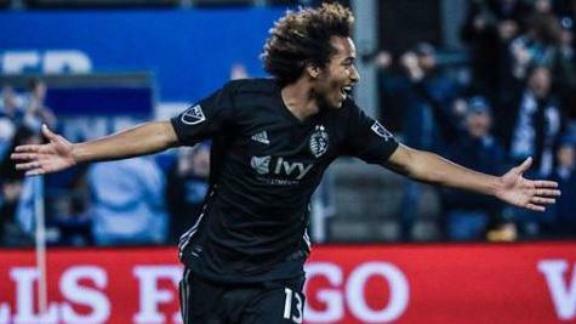 Sixteen-year-old Gianluca Busio scored in his third straight game to salvage Sporting KC a 2-2 draw against the visiting New York Red Bulls on Sunday. 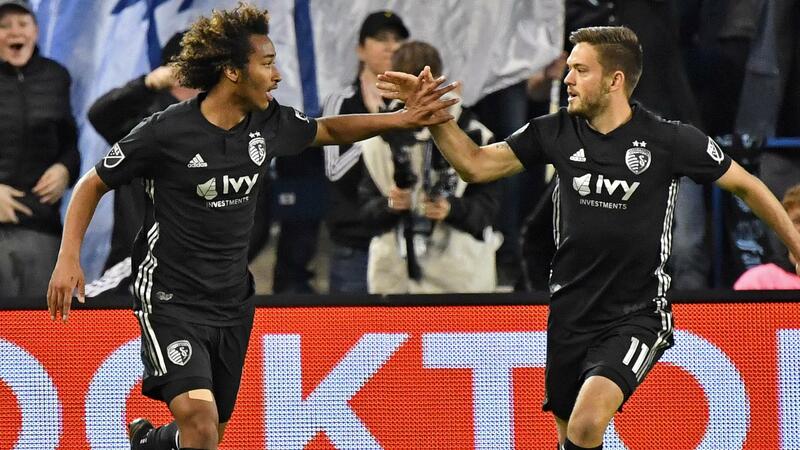 Busio scored on a deflection in the 88th minute, touching home a shot by Graham Zusi that found its way through a scrum of players following a corner kick. Busio already was the youngest player in MLS history to score goals in back-to-back games. 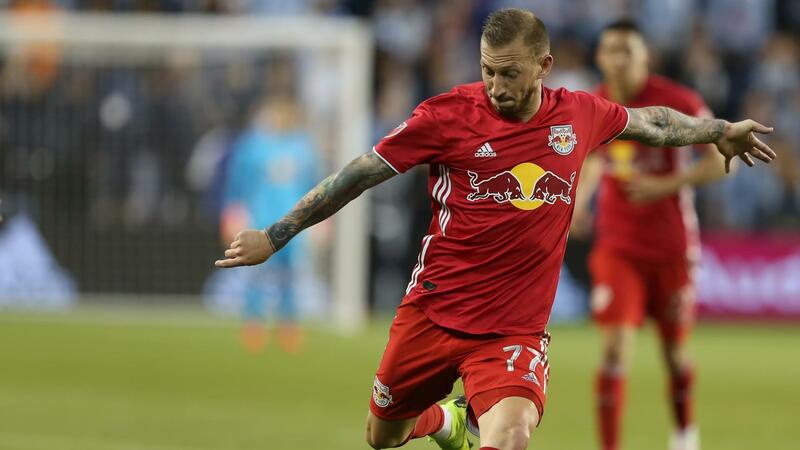 The Red Bulls (1-3-2, 5 points) used second-half goals by Daniel Royer and Brian White to take the lead, after changing the momentum after halftime. But Sporting stayed on the attack. Sporting (2-1-3, 9 points) were on the front foot for most of the first half. They held the majority of possession and had 10 shots (four on goal), compared to five (four) for the Red Bulls, at intermission. 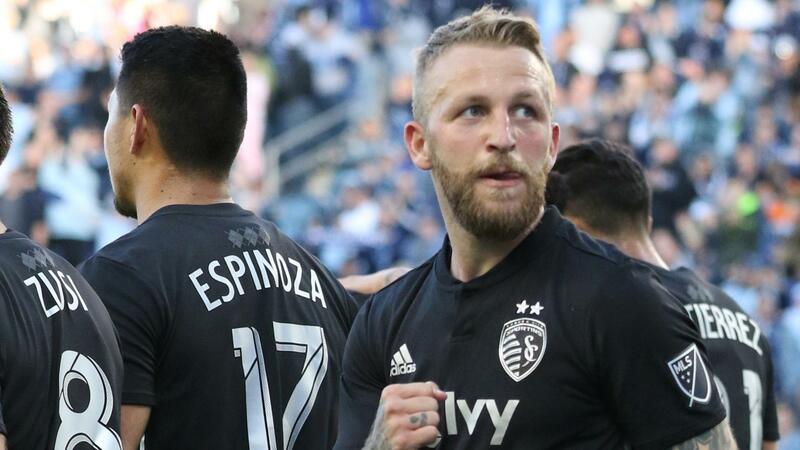 Johnny Russell put SKC on the board in the 24th minute with a nifty left-footed shot from a shallow angle past Red Bulls keeper Luis Robles. Zusi had a throw-in from the right side to Krisztian Nemeth, who fed Russell. Russell took a couple of steps before sliding it past Robles. 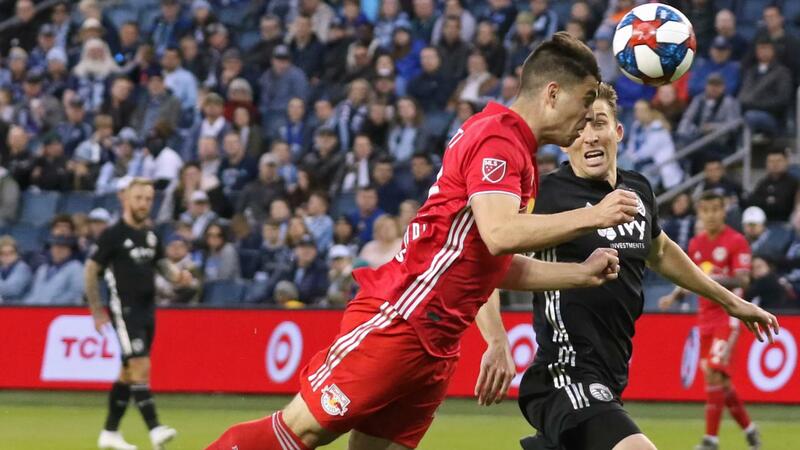 The Red Bulls evened the match in the 52nd minute. They gained possession near midfield, and Royer broke behind the Sporting back line to receive a long ball from Cristian Casseres Jr. He juked Sporting keeper Tim Melia, then stroked it into the empty net. Russell had two golden opportunities for additional goals, one in each half. After eluding three defenders, he fired just wide to the right of the net in the 10th minute. Then, in the 63rd minute, he fed Nemeth, who deflected it right back to Russell. But Russell's attempt was a foot wide to the left. 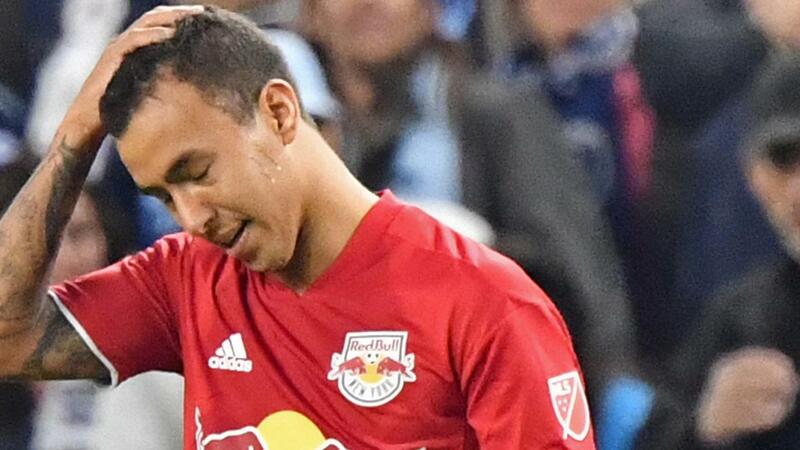 White put the Red Bulls ahead in the 75th minute, three minutes after coming on for Bradley Wright-Phillips. White dove to get on the end of a long cross from Alejandro Romero Gamarra, flicking the ball past Melia into the far corner. Sunday marked the start of a six-week stretch that will see Sporting play six of eight league matches on home soil. 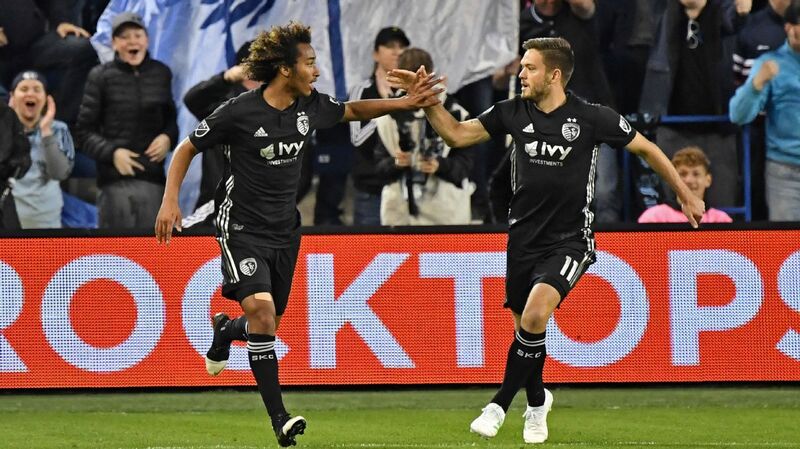 Two of the charter members of MLS, the two clubs are even in the all-time series 20-20-13, including SKC's victory in the 2017 US Open Cup Final.